Would you drive for half an hour or so to reach a destination where you join a queue to hand over a large sum of money so that your children can enjoy the facilities on offer for ninety minutes? Maybe just thirty if you are particularly unlucky? What if everyone else gets to stay all day for the same charge? Everyone else is welcomed warmly. Everyone else is encouraged to stay. Everyone else is quite happy! Everything they might need in for the day is there, tantalisingly available. Food, drinks, entertainment, spare clothes available to purchase in case of emergency, sunscreen should it get hot, rain macs for the inevitable British showers, oh yes, holiday attractions try to stock everything you might need in order that they might keep people a little longer. YOU should find something else to do. Or maybe just stay at home? YOU should definitely stop being such a bother. YOU should stop being such a problem. YOU really should stop talking about things which make other people uncomfortable. YOU should stop moaning and YOU really should stop being so difficult. After all, EVERYONE ELSE is having fun here. It would cost us extra money in order to let YOU stay. So just go away and stop bothering us. Would it really be okay to say that directly to a person? Then stop saying it to this child. Please let me have fun too. Please tell me I matter. All he needs in order to stay all day is an accessible toilet. No, not a small box with a wheelchair logo on the door. Have you ever even tried to get a wheelchair in that box or tried to turn it round to shut the door? No not something which meets some “minimum standard” set up by somebody who can already stay all day. An accessible toilet, with a hoist to lift him to the toilet and a bench to lie down on to sort clothes. This one child represents hundreds of thousands of people. Hundreds of thousands of families who cannot join in with life. Hundreds of thousands of people who are being told to stay at home. Please stop telling people that they don’t matter. I really hope that businesses will realise that not only is it morally right and legally required to make their facilities accessible to all but it also makes good business sense. I hope that businesses will care. I hope that we can get through this summer without too much heartache. I hope that next summer will be better. I hope that eventually these facilities will become a legal requirement and I hope that you will sign this petition to help make it happen. Previous: Previous post: Ever the thrillseeker! Next: Next post: Lands End is not for everyone. Very often, people just don’t know what I needed. I always say that there is nothing wrong with not knowing but, when you know, you should do better. Absolutely. When places have a fully accessible Changing Places style toilet as well as the regular “disabled” toilet it might help others to realise that there are people who can walk who need to use those larger facilities too. Life is hard enough when you have a disability, without being made to feel bad about having needs. Yes, yes, yes! 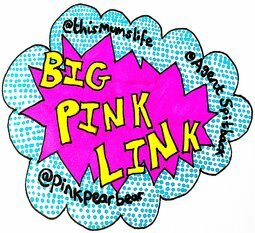 This is such an important post and I thank you for sharing with #bigpinklink. All facilities should be accessible to everyone and every business should make it their priority to ensure fair access. I hope this summer is better for you, have you seen a difference since this post / the petition? There have been small improvements in some areas across the country, and there are a few places in Cornwall working on it now but progress is painfully slow. The need for Changing Places toilets to be mandatory in law in some places has been discussed in Parliament as part of an Adjournment Debate but only 11 MPs showed up for it. Disabled people are clearly not a priority. I can’t imagine how tough this must be for you all, when your options to go out are so limited. I have signed the petition, and hope you manage to get enough signatures for this to get the recognition it deserves. Sad to see that this is STILL a problem! I really hope attractions find the money to sort this sort of thing out soon, because it really is vital!